Applied to pump clean water for the areas which lack of electricity, but rich in sunshine. 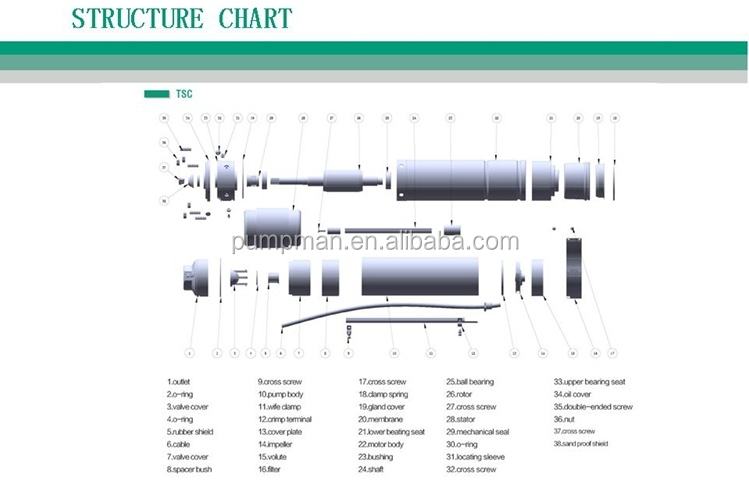 It can be used for tank filling, domestic water supply, water transferring,agricultural irrigation and so on. 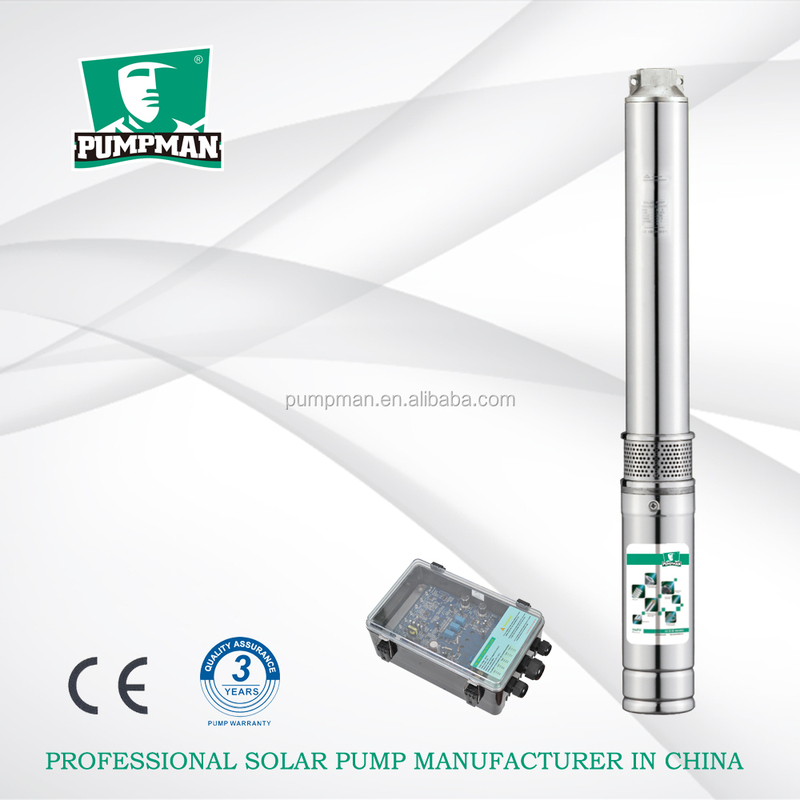 PUMPMAN is the first and best solar pump manufacturer in China. Max head ranges from 12m to 300m. 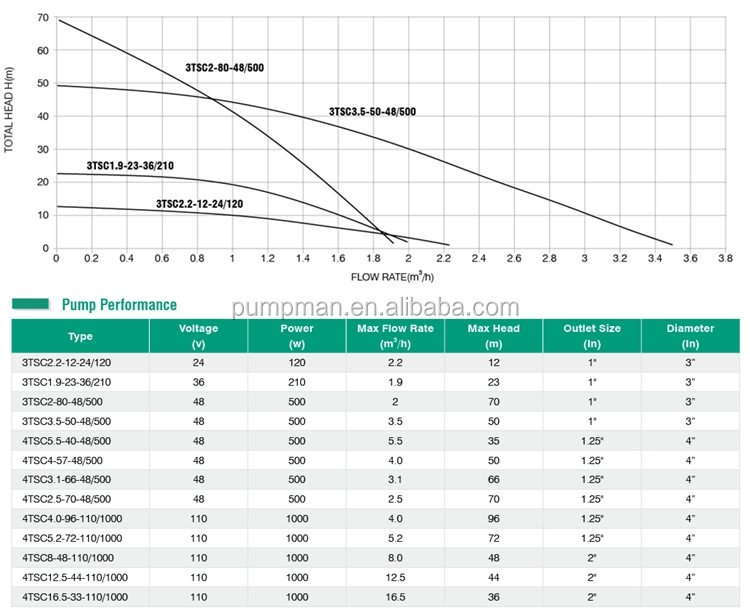 Max flow rate ranges from 0.5m3/h to 61m3/h with different size to be used in 3”,4”,5” boreholes. 3-phase brushless permanent magnetism DC motor, 25% higher than AC motor. 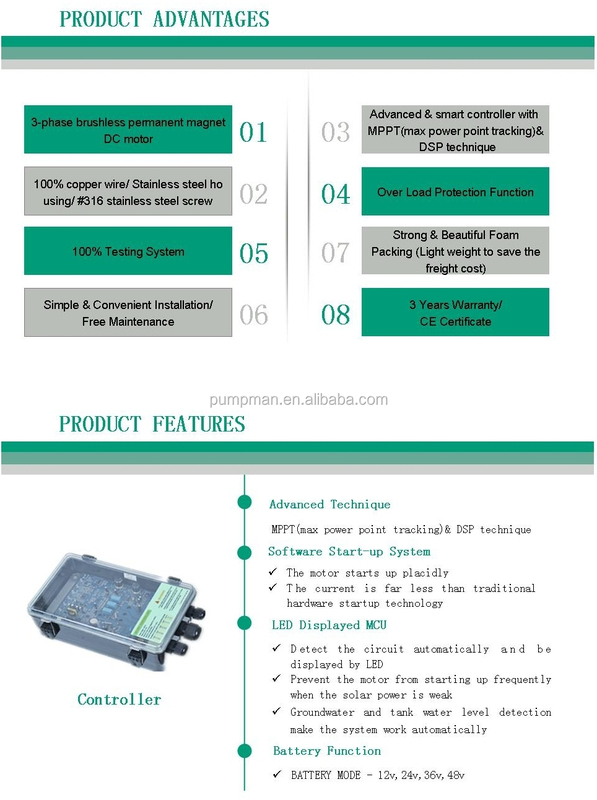 Advanced and smart controller with MPPT(max power point tracking)and DSP technique, over load protection function, and the battery function is also available for 12/24/36/48V controller. Power ranges from 80w to 3000w and ,voltage ranges from 12V to 300V. 3)Controller------7 minutes testing to check all functions. Foam packing is strong and beautiful(Light weight to save the freight cost). Annual visit to solar pump agent to give technical training. 1. Q:Are you factory or trading company? for normal ac pumps and 8 years’ experience for solar dc pumps. A: Trial sample order is ok.
3. Q: How about the payment term? A: We accept T/T,L/C,D/A,D/P,O/A and so on. 4. Q: How about the delivery time? A: 10-15days for sample, 25-30days for bulk after receiving deposit. 5. Q: What kind of certificate do you have? 6. Q: Can you accept to use our logo? 7. Q: What’s the warranty period? 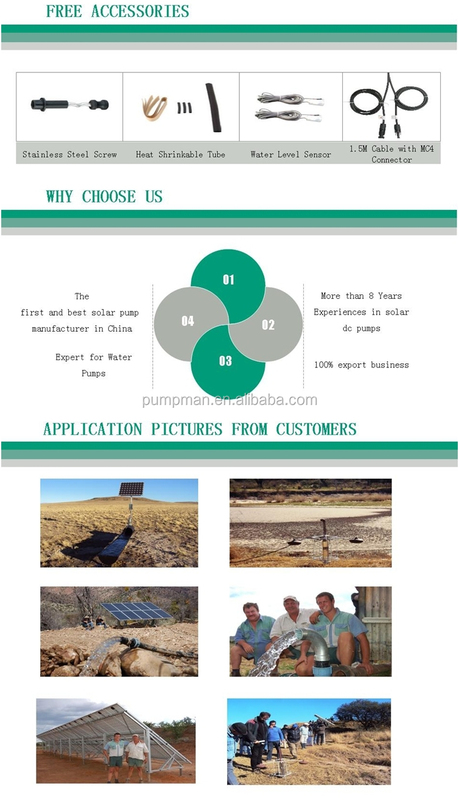 A: 3 years’ warranty for all of our solar pumps. 8. Q: How can i get the pump? if the volume reaches 1m3, the sea way will be better.